Laura Marling is pleased to announce full details of her sixth album and UK live shows next Spring Semper Femina is released March 10th 2017 on Laura's own label More Alarming Records via Kobalt Music Recordings. It was recorded in LA in late 2015, and produced alongside US musician/producer Blake Mills (Alabama Shakes, Jim James). Alongside the announcement of Semper Femina, comes Laura's directorial debut with the video for the first fruits of the record and the album's opening track, Soothing. The inspiration for which was a series of vivid dreams Laura experienced whilst making the album. Semper Femina was largely written out on the road, following the release of Laura's acclaimed album, Short Movie, in Spring 2015. Its loose lyrical thread strings together her keen, freshly observed take on womanhood, and what Laura describes as a particularly masculine time in her life. 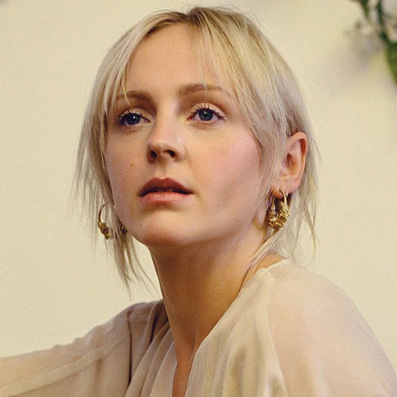 Laura Marling: 'I started out writing Semper Femina as if a man was writing about a woman, and then I thought "it's not a man, it's me"
The announcement of Semper Femina follows the success of Laura's recent Podcast series, Reversal of the Muse. As an exploration of femininity in creativity, the collaborative project opened up an important conversation around whether the lack of feminine presence in the studio environment would ultimately make any difference at all to the creative outcome. With no ulterior motives, nor any pre-conceived expectations, ROTM was as much about the conversation created than expecting a conclusive answer. Guests included HAIM, Karen Elson, Vanessa Parr, Dolly Parton, Shura, and Emmylou Harris. Semper Femina is Laura's sixth studio album in a little over nine years. It is a record that similarly addresses questions of how society views sexuality and gender but without seeking to provide definitive answers. It retains an openness to express and portray her own 'voyage' of self-discovery, but also to develop and learn as artist, performer, and as an individual over the course of her career. A rich and enriching listen, Semper Femina is a typically mature and raw listen by one of our most talented and prolific young musicians of a generation.